Healthcare Perm Staff Ltd. specialises in UK healthcare nurse recruitment. On this site, you will find a variety of UK healthcare nursing jobs, and the opportunities will continue to grow in 2018. If you are looking for a permanent job opportunity within private healthcare sector in the UK then we can help. We are a registered British recruitment agency that specialises in matching the right candidates with nursing job openings in the United Kingdom. HealthcarePermStaff.co.uk is always up to date with new UK nursing jobs for international nurses and local nurses. European nursing candidates can use our site to spot the appropriate position according to their experience and skills. British and foreign nurses are welcome to apply to any job listing they believe is a good fit to their career plan. We are looking for both qualified and unqualified candidates. We work with private British Care Homes, Private Clinics, Hospitals, GP practices as well as charitable organisations, and other nursing Facilities. Employers are recruiting highly specialised nursing staff from within the UK as well as other European countries like Romania, Bulgaria, Poland, Spain, Portugal, and Italy. We also source permanent nursing staff without experience for employment in the UK healthcare sector. Registered general nurse, Care supervisor, Healthcare worker, Domiciliary care, Healthcare assistant NHS, Care coordinator, Continuing health care, Emergency care assistant, Dementia care, Elderly or Senior care personnel, Home care, Mental Healthcare assistant, Midwife Night care, Primary healthcare nurse, Private healthcare staff, Residential healthcare personnel, Respite care, and more. Please fill in our simple registration form that you will find on this page, and we will contact you in order to discuss your experience, preferences, salary expectations, location, availability as well as other circumstances in order to find you what you are looking for and what is right for you. You can expect fully confidential and consultative service and this is what makes us different. With our professional approach, experience in healthcare recruitment as well as extensive client portfolio that includes Care Homes, Hospitals, Clinics, Schools, GP practices etc. we are positive that we will help. 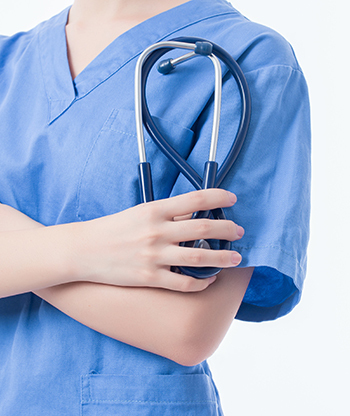 Four main factors have boosted the demand for nurses in recent years. Francis report and staffing guidelines: demand for nurses rose as trusts sought to increase the nurse-to-patient ratios in response to the 2013 Francis report into events at Mid-Staffordshire NHS trust. In this video, Michelle, an adult nurse in the NHS, talks about the role and the qualifications needed for a UK nursing job. There is unprecedented demand in the UK for local and overseas nurses. According to stats from February 2016, nearly 24,000 UK nursing jobs are unfilled within the NHS alone. It is expected that this shortfall will continue at least until 2020. This makes nursing one of the few positions where there are actually more jobs than job seekers and means that qualitfied and unqualified healthcare permanent staff are heavily in demand. Short after 2010 there were huge cuts in education of nurses in the UK and this brought a huge number of foreign workforce. So, things have changed since 2015, but it gives us a perspective of things in the recent years and today. Furthermore, 6% of all nurses are from other EU countries. Around 20,000 UK nurses are mainly from Ireland, Spain, Portugal and Romania. From 2012 to 2015 the number of non-UK EU nurses has doubled. The majority of nurses were specialised in one of these areas when they earned their degree. However, there is nothing that stops you from changing your specialism after you got your qualification. With these four nursing areas in the UK being so broad, there is a vast range of roles within each route. Regarding unqualified nurses. To become a nurse in the UK, you will need to hold a nursing degree and be registered with the Nursing and Midwifery Council (NMC). This opens the door to a wide range of rewarding roles, within adult nursing, children’s nursing, mental health nursing, and learning disability nursing. No matter the exact specialism you will have a great impact on your patients’ day to day lives, that is why nursing is an amazing career choice. Nursing offers the possibility for a fulfilling and interesting career where you will be making a difference to the happiness and well-being of patients or elderly. If you are a caring and compassionate individual, with devotion to helping others, you will be able to find a UK nursing job that suits your personality and career goals. It is a fact that there are nursing shortages across the UK in 2017 and 2018, so it is the best time to be job hunting. One of the popular misconceptions is that nurses are only based in hospitals and NHS clinics. That is just one category. There is a wide range of roles in GP surgeries, clinics, schools, care homes that are part of the local communities. Healthcare Assistants (HCAs) are often seen as the backbone of patient care. Working in a variety of both hospital and community settings, such as GP surgeries, HCAs work directly with patients to improve their day-to-day care and well-being. Unlike qualified nursing roles, there are no specific requirements to become a Healthcare Assistant, which combined with the opportunities to gain Qualifications and Credit Framework (QCF) skills on the job, make this a great starting point if you want a nursing career in the UK healthcare sector. 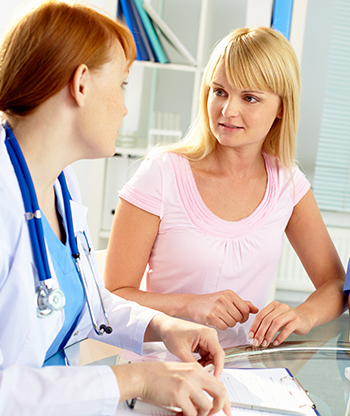 Healthcare Assistants work under the guidance of a qualified healthcare professional. This is usually a nurse but could also include doctors, midwives or other healthcare professionals and as a result, the role is sometimes called a Nursing Assistant, Nursing Auxiliary or an Auxiliary Nurse. Duties can vary a lot depending on where the role is based but that allows you, as a job seeker, to find a role that fits your interests perfectly.